Is talking with God difficult for you? Do you find yourself not really knowing what to say or where to start? Or maybe you have a few basics down – but it doesn’t ever really get deep – more like a superficial conversation with an acquaintance? What if prayer could be as easy as breathing? It can be! 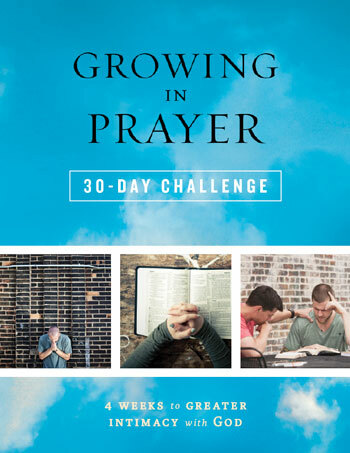 Join thousands of others in The Growing in Prayer 30-Day Challenge; a 4-week journey to walk alongside you and help you better connect with God. When you sign up you will receive a FREE ebook, A Practical Guide to Growing in Prayer which will get you started, followed by weekly teachings, videos and challenges from Mike Bickle. This is a challenge to have a genuine, consistent prayer life and experience something that will change your life forever. By submitting, you understand that you may receive periodic email communications from Charisma House and that you may unsubscribe at any time. Learn More. Copyright 2016 Charisma House. All Rights Reserved.